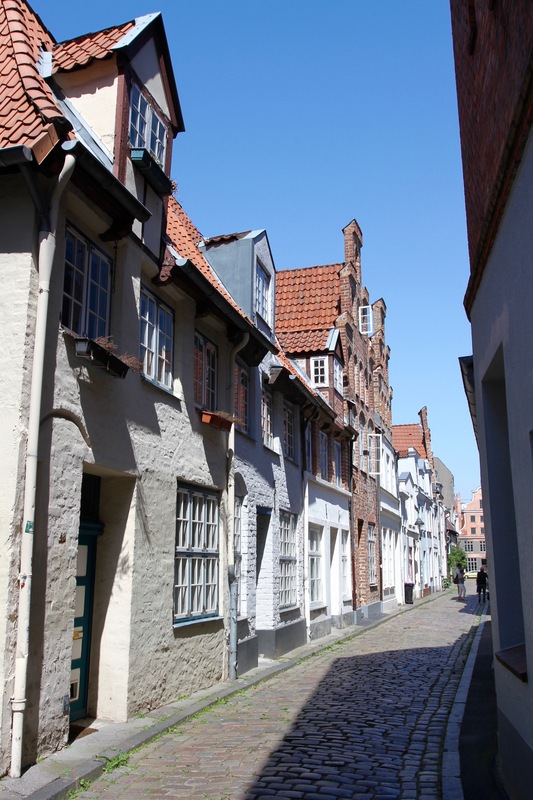 After a visit to the European Hansemuseum the previous day, my second morning in Lübeck dawned with a brand new appreciation of its Hanseatic history. 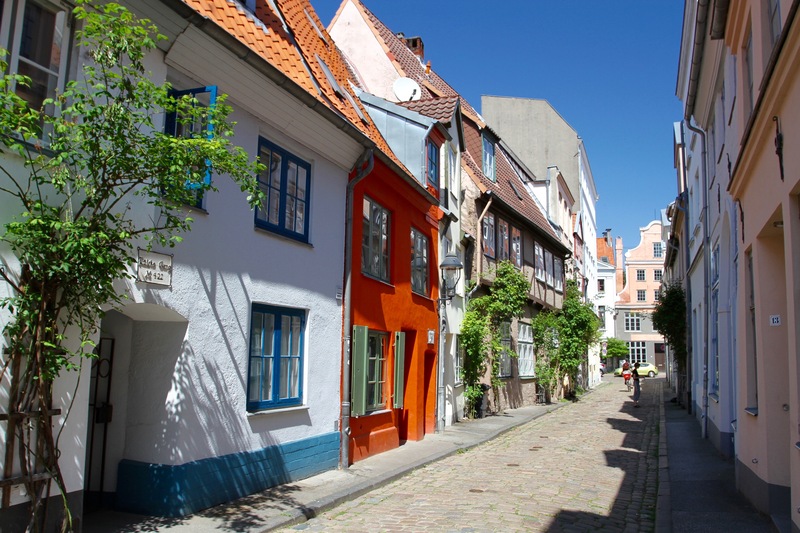 Founded in 1143, Lübeck became one of the most powerful cities in Europe as the capital of the Hanseatic League, a commercial block of medieval cities that came to dominate trade across northern Europe. 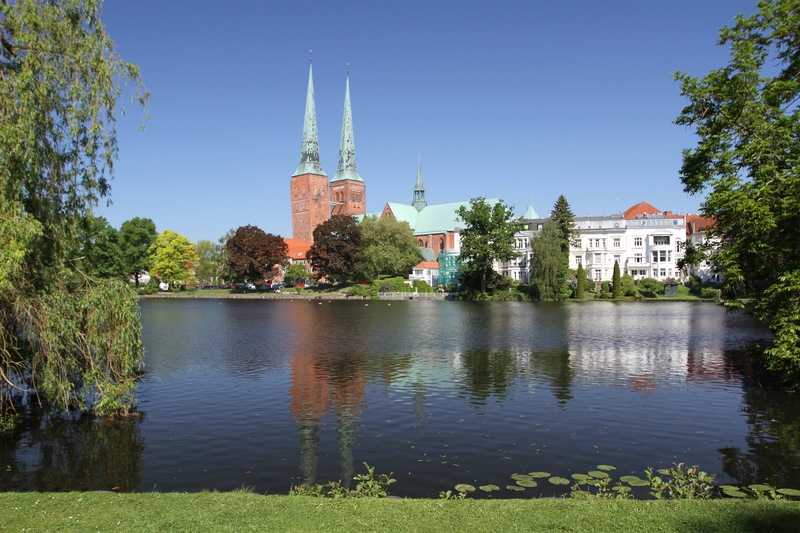 Lübeck was ideally placed to exploit the trade in raw products from Russia, Norway and Sweden, and manufactured goods from central and southern Europe. 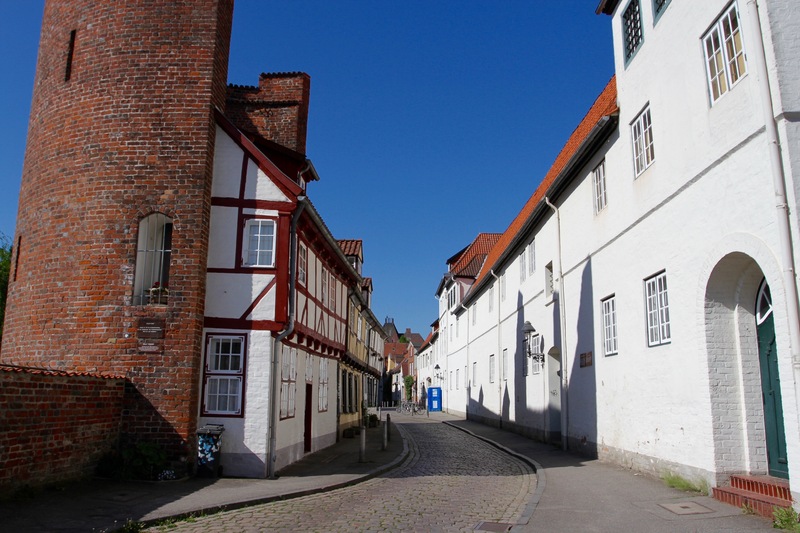 It made a lot of money trading salt from nearby Luneburg. It’s a heritage still very much on display in the wealth of magnificent merchants houses, churches and civic buildings that are liberally scattered all over town. I knew nothing of Lübeck’s illustrious history before I arrived in this part of Germany, but I’m glad I made the trip. 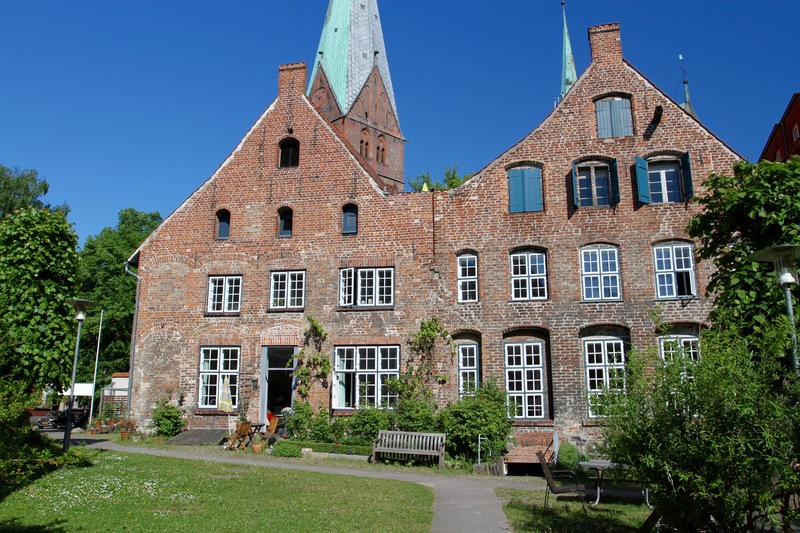 I was staying close to the Heiligen-Geist-Hospital, Germany’s first hospital dating from 1227. 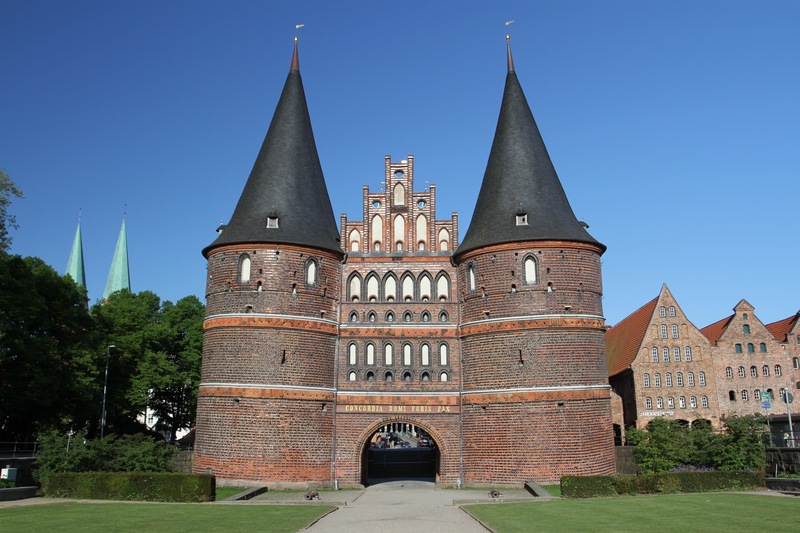 Sadly it’s closed for a major restoration, but it’s close to the Burgtor, a huge city gate to rival the more famous Holstentor, and sits at the heart of a warren of cobbled medieval streets. I spent a couple of hours wandering along the river through pretty neighbourhoods to the lovely St. Annen Museumsquartier. Along the way I unearthed several courtyards, medieval ‘hofs’ that were built to house the less fortunate in society. 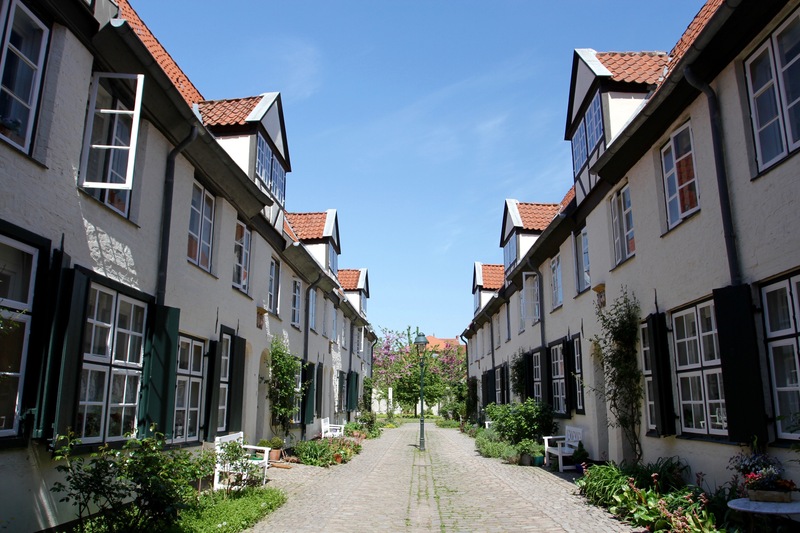 Füchtingshof, one of the most picturesque of the courtyards, was built to house the widows of sailors and merchants, of which there were probably many given the role Lübeck played in trade. Many Lübeck merchants travelled into the heart of Russia to exchange goods, a risky journey to make from which many didn’t return. 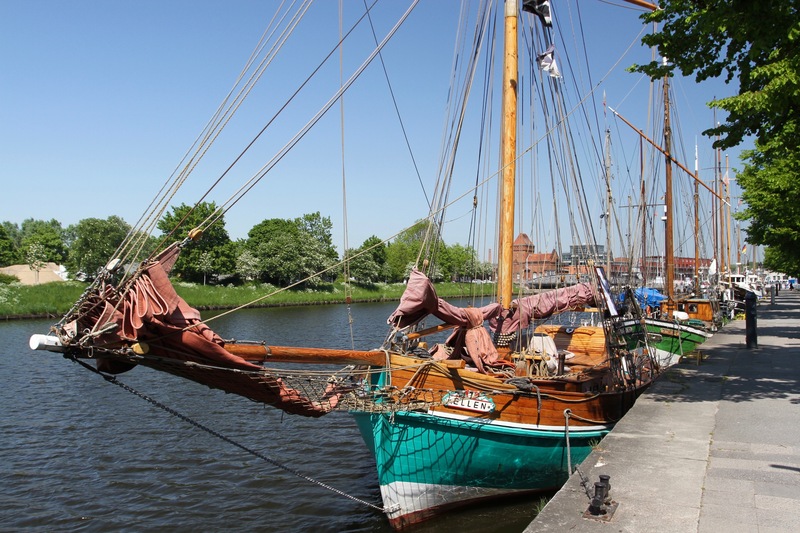 Lübeck isn’t only known for its Hanseatic glories though. It is also the home of two globally famous writers, Thomas Mann and Günter Grass, both recipients of the Nobel Prize in Literature; and, if that wasn’t enough, it is also the birthplace of a third Nobel Laureate, Willy Brandt, the politician who won the Nobel Peace Prize in 1971 for his work building bridges between West Germany and the Soviet controlled East. 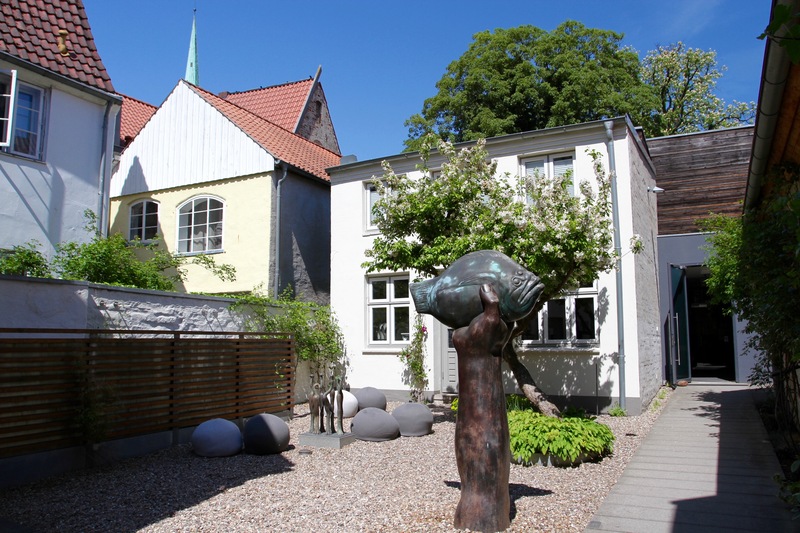 All three Nobel prize winners have museums dedicated to them in their former houses. I visited Günter Grass Haus first, it’s a fascinating insight into his life. I hadn’t realised that as well as being a novelist, he was also an accomplished illustrator, graphic artist and sculptor. It was a shame that the museum only has information in German, but there were lots of illustrations and video to keep me engaged. Even better there was a special exhibition on Irish playwright, George Bernard Shaw, who it turns out had a passion for film making. There were several of Shaw’s brilliant short films. There wasn’t time to visit both of the other Nobel winners’ museums, so I decided to keep the literary theme going and went to the former home of Thomas Mann. 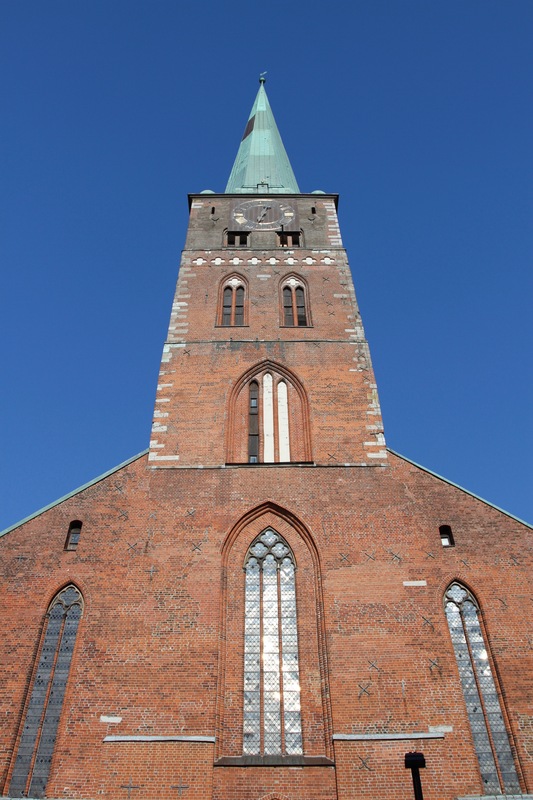 His most famous book, Buddenbrooks, is based on his experiences growing up in Lübeck. The museum is small but at least has some English translations, which allowed for a better understanding of his fascinating life. Particularly his opposition to Nazism, followed by exile to the United States and then persecution as a suspected communist. 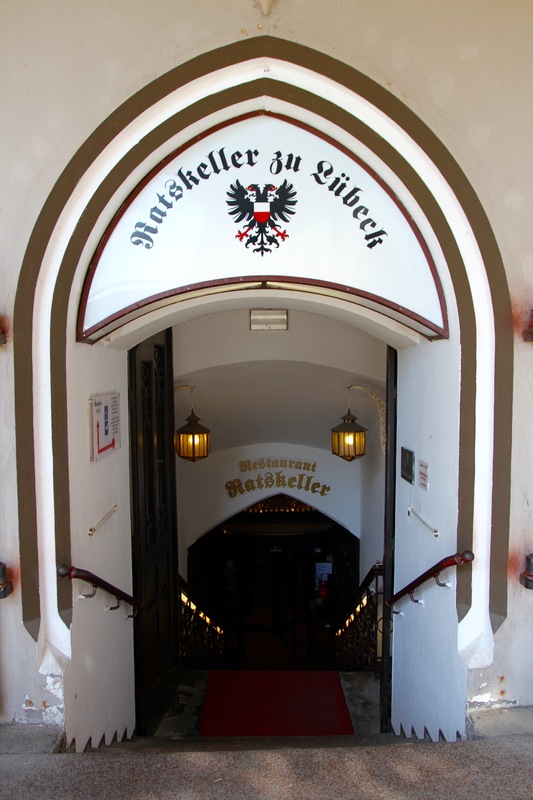 Before leaving town for Hamburg, I went underground for lunch in the Ratskeller, one of Lübeck’s most historic restaurants. It has discreet booths in which to eat, and you can imagine illicit assignations and deals being done behind the closed doors of the booths. It’s an atmospheric place, and chance had it that I was shown to the Thomas Mann booth, decorated with his letters and photos. Apparently he ate here regularly and, given the restaurant’s only a short stroll from his house, I’m inclined to believe it. 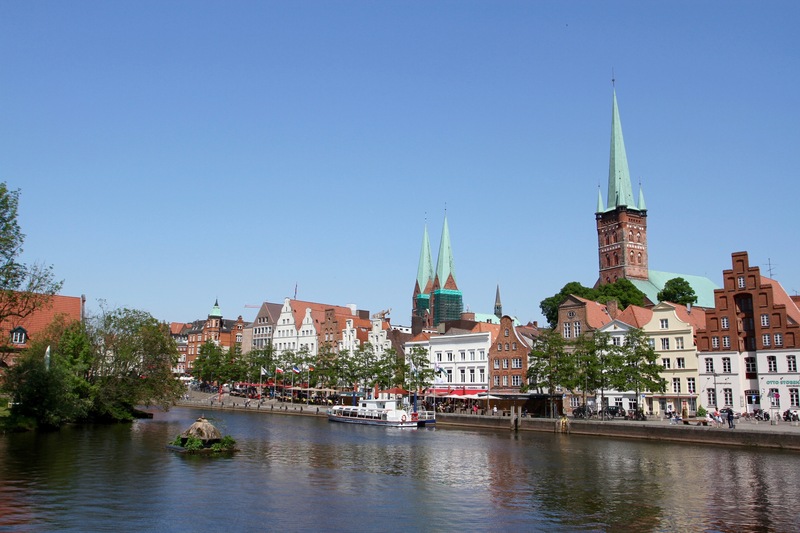 The glories of Lübeck’s 900-year history were all but obliterated in 1942 by a firestorm resulting from a British bombing raid. 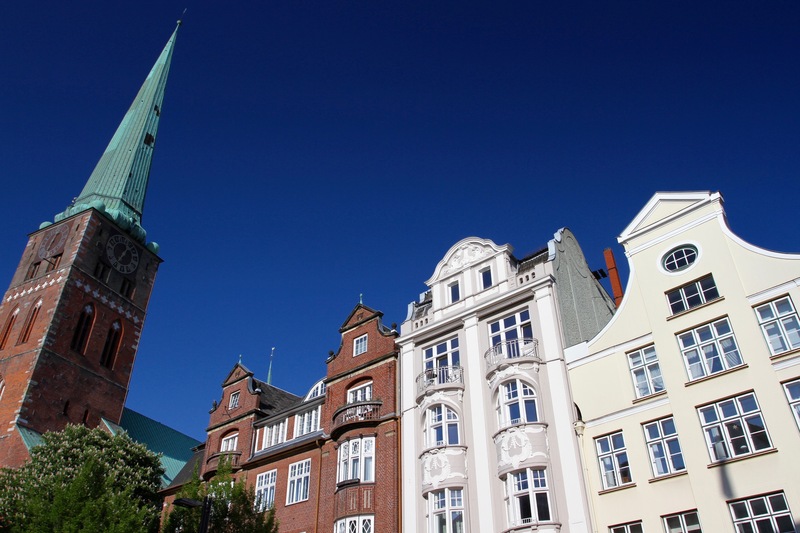 It took over four decades, but the magnificent Hanseatic centre of Lübeck was lovingly restored and was justifiably granted UNESCO World Heritage status in 1987. 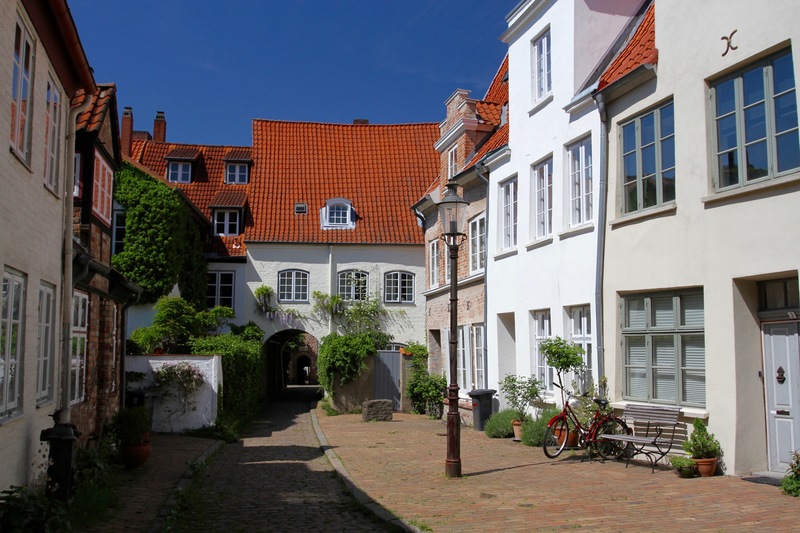 There are more than a thousand historic buildings in the ancient heart of the city, all tightly packed onto a small island in the Trave river and connected by cobbled streets, narrow alleyways and picturesque courtyards. It must count as one of Europe’s most spectacular historic cities. 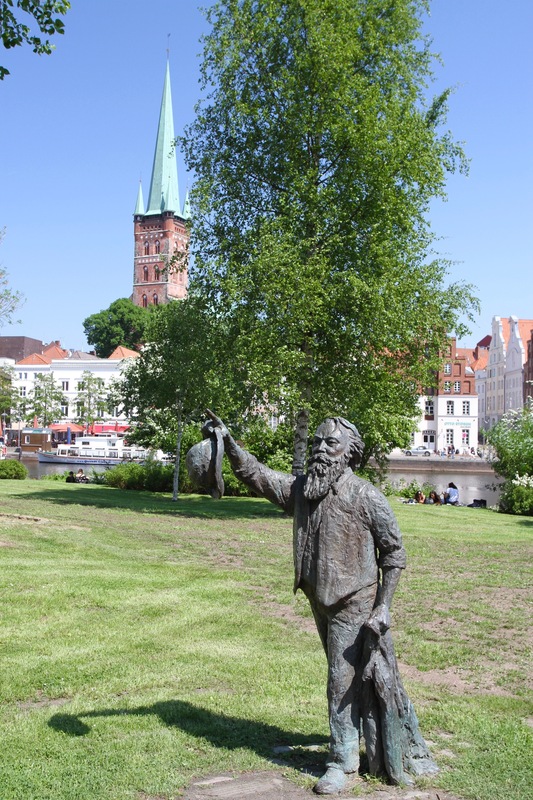 It’s a joy to explore Lübeck’s history, but when you throw in a couple of famous literary connections and one of northern Germany’s finest museums, Lübeck quickly becomes a dream destination – for me at least. The only downside of a visit is that the culinary speciality of the town is marzipan, the disgusting almond-based dough first invented as a medieval torture device. If you order a breakfast pastry in a Lübeck cafe, it would be wise to double-check that it doesn’t contain marzipan. Take it from one who knows, it can ruin the start of your day. I hate marzipan, inexplicably Lübeckers seem proud of it. I arrived in Lübeck just in time for the morning rush hour. I’m blaming this for the fact that I managed to drive past the iconic Holstentor, the massive 15th century medieval gateway that squats ominously at the western entrance of the town, without seeing it. An hour later when I was stood underneath it marvelling at its sheer size, it was hard to imagine how anyone could have missed it, especially when the road is only metres away. It was a warm day and people were relaxing and picnicking in the adjacent park. 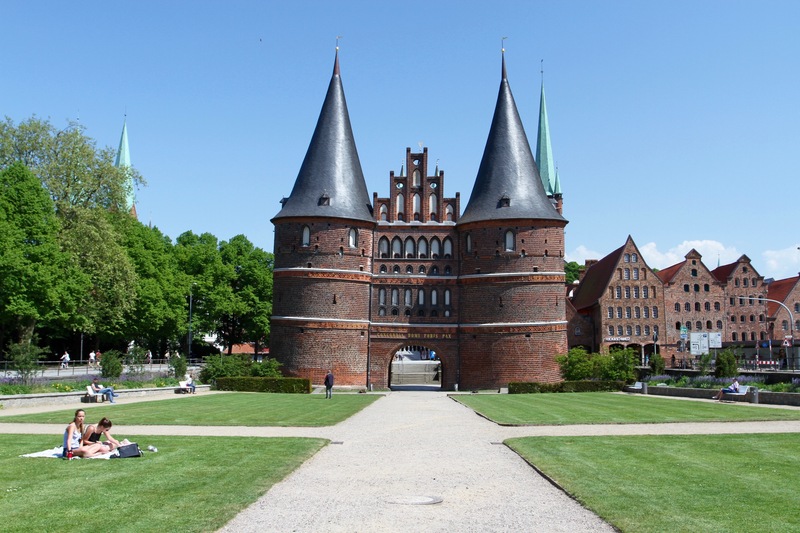 The Holstentor is a good place to start a visit to Lübeck. 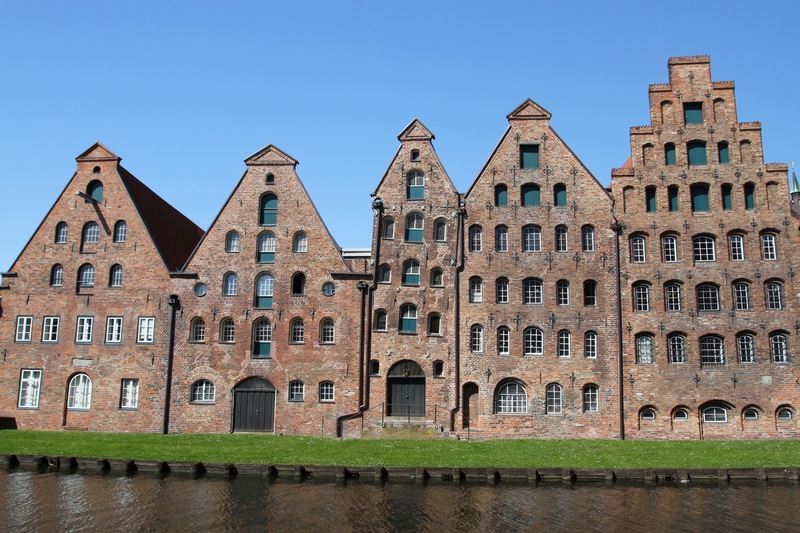 It sits on the riverbank a short distance from another iconic sight, the Salzspeicher, a group of 16th – 18th century salt warehouses. 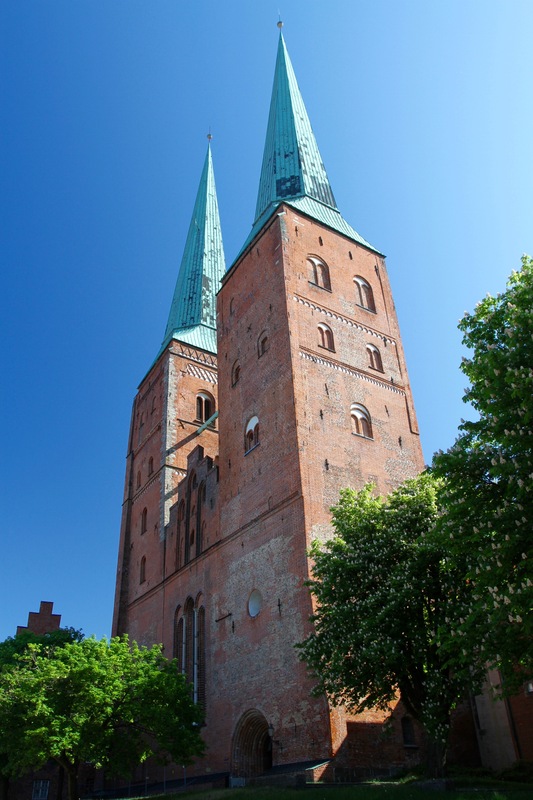 Salt was one of the commodities that made Lübeck one of the wealthiest towns in Europe. 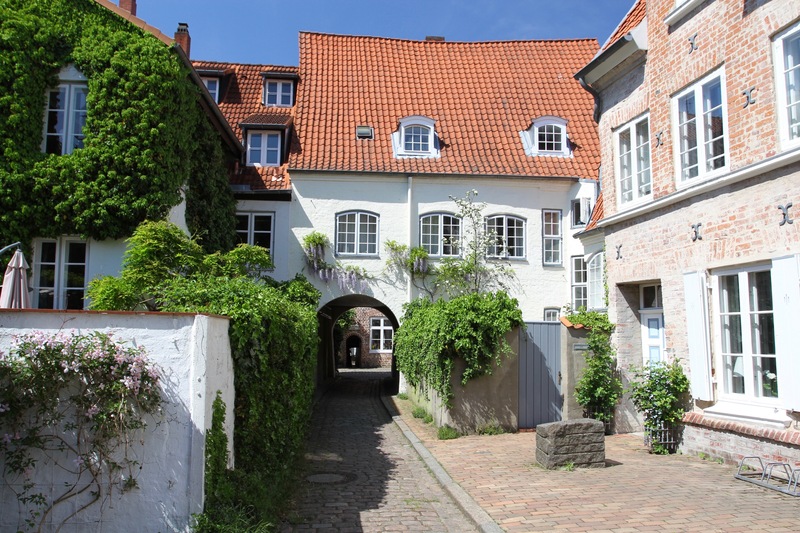 My plan was to spend the day just wandering around before visiting the Europäisches Hansemuseum, the utterly brilliant museum dedicated to the history of the Hanseatic League, and Lübeck’s role as the powerful capital city of the League. Little did I know that you could spend the best part of a day in the museum. 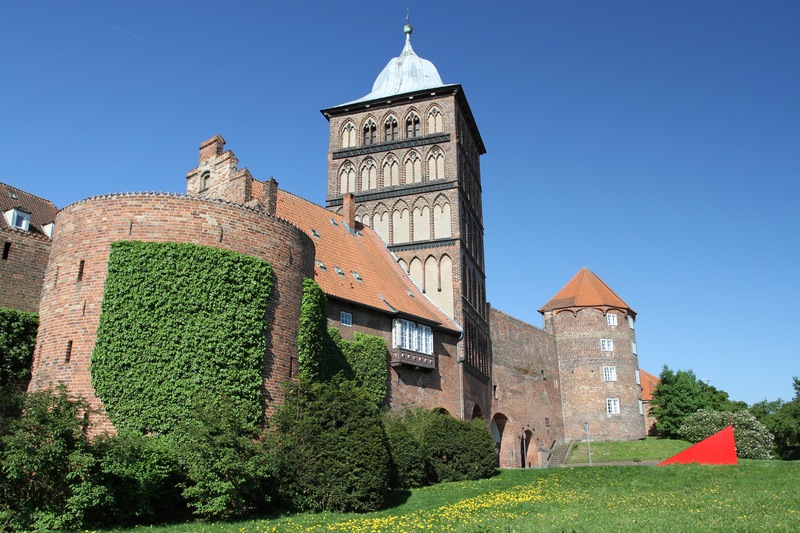 The island upon which ancient Lübeck sits is less than mile long, but it took me hours to make my way from one end to the other. 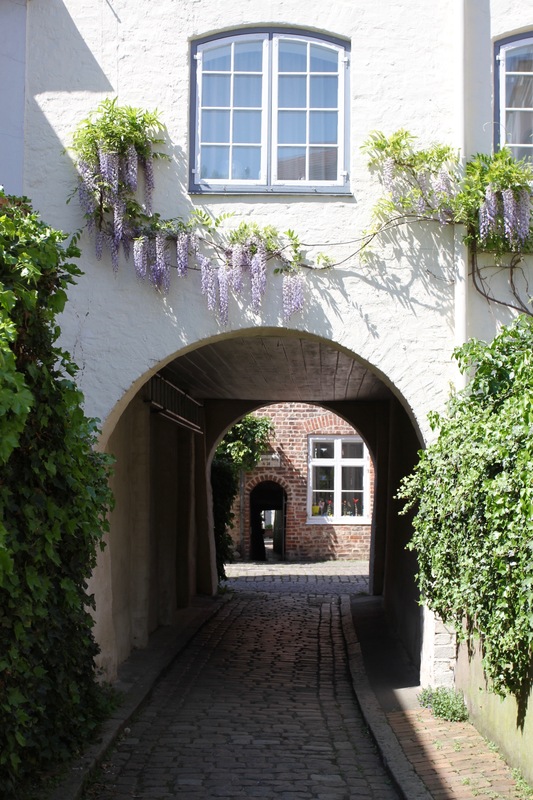 There are so many attractive churches, quiet streets and pleasant squares to explore, not to mention good cafes and restaurants, that it’s impossible not to find yourself endlessly diverting down narrow lanes to find out where they lead. Each turn of the street unearths more glorious architecture and beautiful views. This is a town saturated in history and I was beginning to regret only having a day and a half to spend here. By mid-afternoon I’d managed to work my way to the Europäisches Hansemuseum. 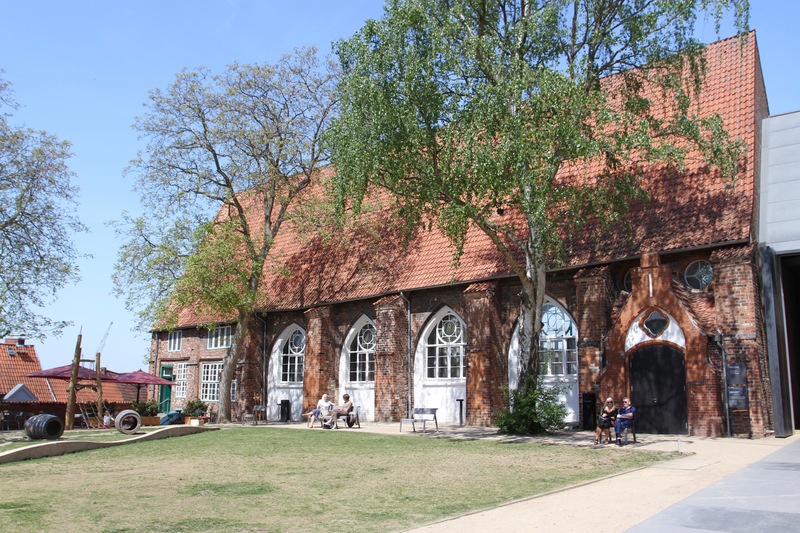 It’s housed in buildings that date back to the foundation of Lübeck in the 12th century, but this is a museum with a modern interactive approach. 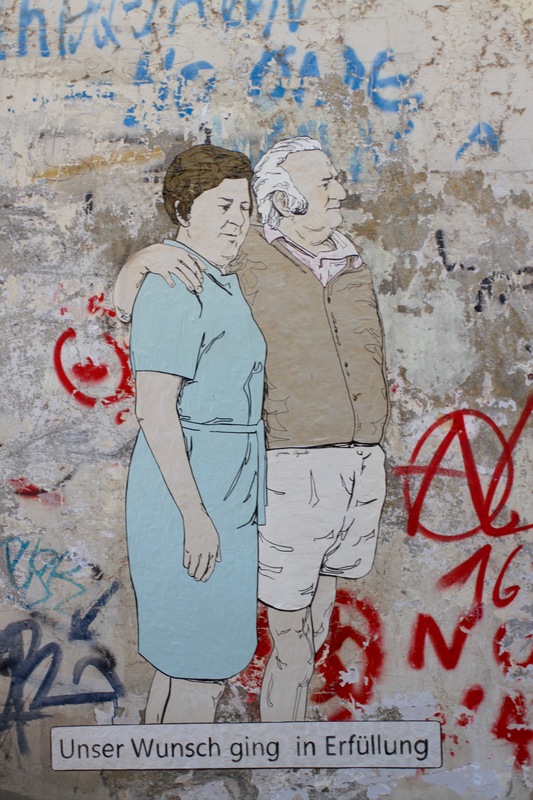 I paid and was guided through the process of selecting a language and a theme in which to do the tour – there were several to chose from, I selected social history. As you walk through the museum there are multiple places where you can scan your pass and hear narration in your language of choice, on your theme of choice. It’s absolutely fantastic. I’d been in the museum for a couple of hours when a member of staff approached me. She politely pointed out that I was only half way around and the museum was closing in 45 minutes. Basically, get a move on. I picked up the pace but there was no way I could do it all. Another trip is going to be necessary. I ended a great day in a local institution, the Brauberger zu Lübeck. 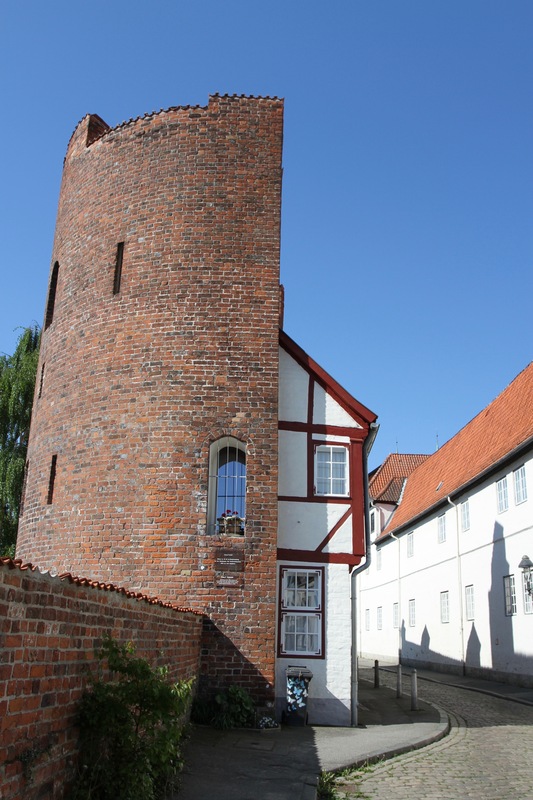 In 1450 there were 180 breweries in Lübeck, Brauberger is one of the remaining few. They only make one beer, the Brauberger Zwickelbier, but it’s good and worth the effort of a visit alone.